“Crossover” has become one of the hot buzzwords of the music scene in recent years as classical musicians seek to broaden their horizons by moving into non-classical fare. 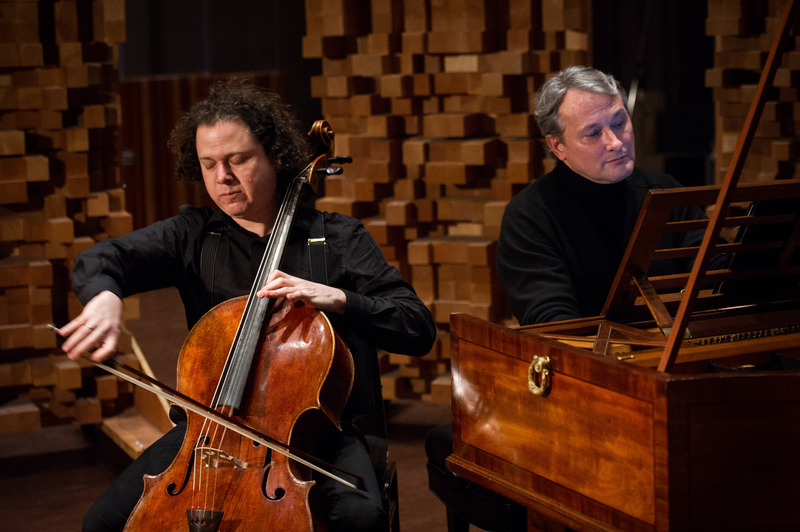 Two of the foremost exponents of this phenomenon, pianist Christopher O’Riley and cellist Matt Haimovitz, will showcase this concept on Thursday in CSUN’s Valley Performing Arts Center. Rather than performing before an audience of up to 1,700 in VPAC’s Grand Hall or even in the 500-seat Plaza del Sol, O’Riley and Haimovitz will play to 200 patrons, who will be seated on the Grand Hall stage. The program — titled “Shuffle, Play, Listen” (the same title as a CD released in 2011) — starts at 7:30 p.m. and will feature music from such disparate composers as J.S. Bach, Igor Stravinsky, Radiohead and Arcade Fire. Although O’Riley is one of this generation’s top pianists, he is perhaps better known as the host of the NPR program “From the Top” (6 p.m. Sundays on KUSC). Haimovitz, who made his debut at age 13 with Zubin Mehta and the Israel Philharmonic and his recording debut shortly thereafter on Deutsche Grammophon with James Levine and the Chicago Symphony, mixes appearances at concert halls throughout the world with gigs at clubs and coffee houses.